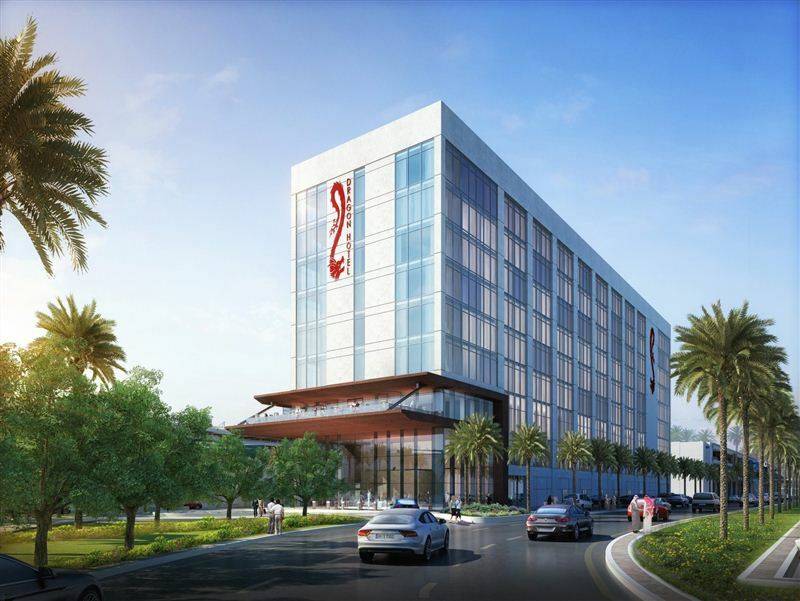 Nakheel’s second hotel at Dubai’s Dragon City moved a step closer today with a construction contract worth Dh136 million handed to Al Ghurair Contracting and Engineering Works LLC. 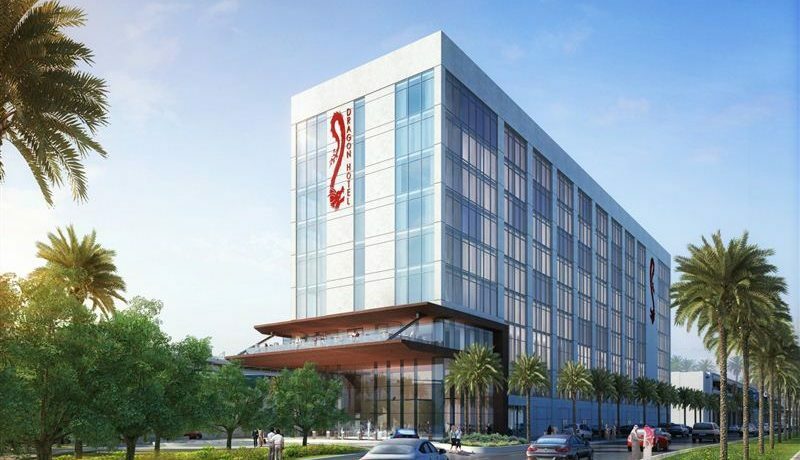 With a total project value of Dh176 million, the 304-room Premier Inn is one of 16 hotels in Nakheel’s Dh3 billion hospitality portfolio and part of a huge new master plan that is transforming Dragon City into a giant retail, residential and recreational complex of more than 11 million square feet. Set for delivery in 2019, Premier Inn Dragon City will have a restaurant, Costa coffee shop and gym. The hotel will span 178,000 sq ft in built-up area, over eight floors. Premier Inn Dragon City is one of two Nakheel hotels managed by the UK’s Premier Inn. The first, a 372-room hotel at Ibn Battuta Mall, opened last October. Nakheel’s expanding Dragon City mixed-use community comprises four million sq ft of retail space, a twin-tower residential complex with 1,120 apartments and two hotels with 516 rooms between them. It is currently best known for Dragon Mart – the world’s largest Chinese trading hub outside China – featuring the globally-renowned Dragon Mart 1 and its sister mall, Dragon Mart 2, which opened in February last year. The two malls welcome 40 million visitors a year. Dragon City’s retail expansion includes a 375,000 sq ft showroom complex, currently under construction. 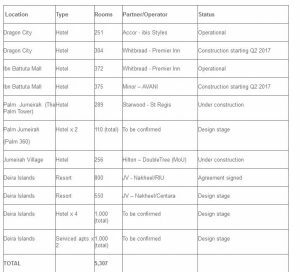 Nakheel’s expansion into the hospitality industry is bringing 16 new hotels and serviced apartment complexes, with over 5,300 rooms between them, to Dubai.